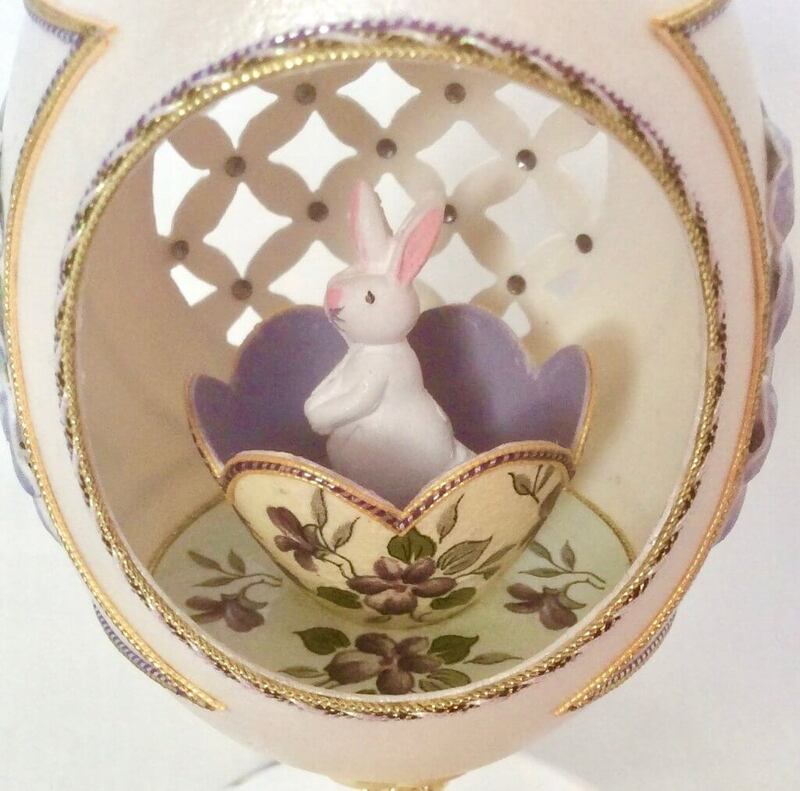 With Easter fast approaching, Denman tutor and Faberge egg expert Morag Flower, wanted to share some insight into what egg crafters do using Applicraft products. 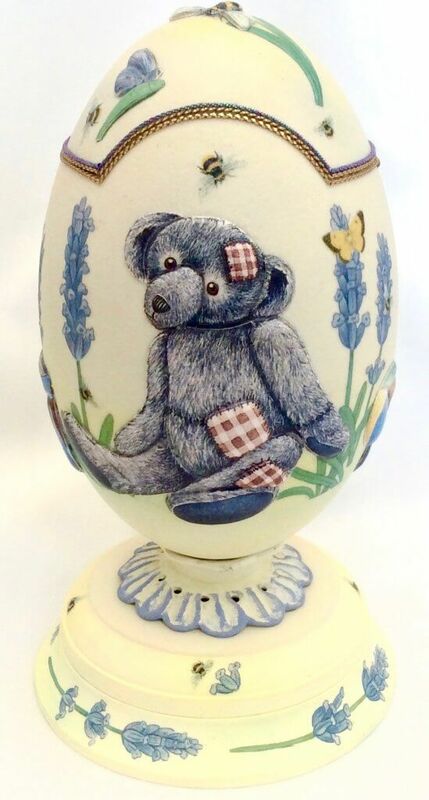 A Rea egg with a teddy bear print prepared and sealed with the decoupage finish for bas relief, the background has floral decals with light chalking. Morag loves the Applicraft decoupage finish, which she uses to prepare and seal decals for raised paper sculpture, which we call paper toile. 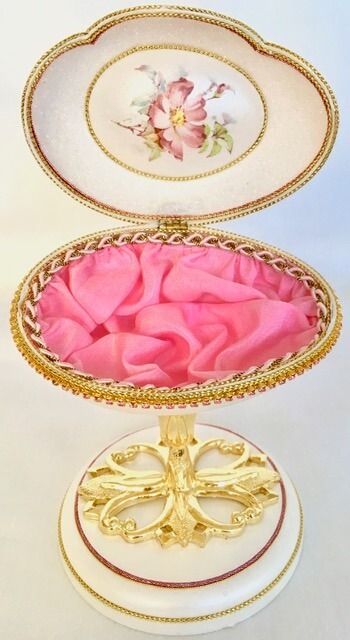 A goose egg made into a casket which opens to reveal a satin lining with a slice of egg inserted into the lid. The outside has a Rambling rose decal in the centre panel with a decoration of pink crystal stones and tiny pearls on either side. 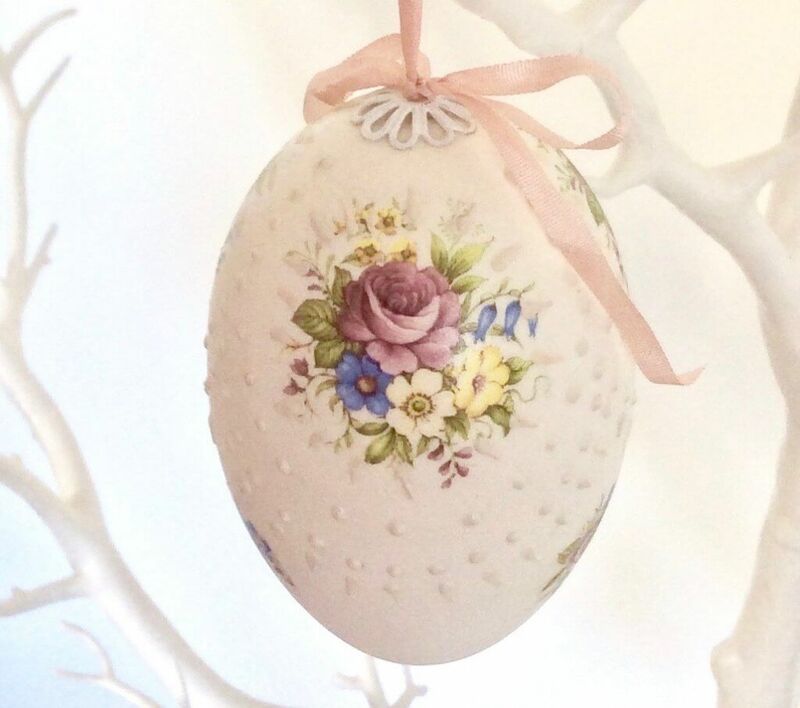 Morag also uses the transfers glaze to capture images from paper and transfer them onto the egg, which is then coated with several layers of the decoupage finish before she finally rubs it smooth with a very fine sandpaper. 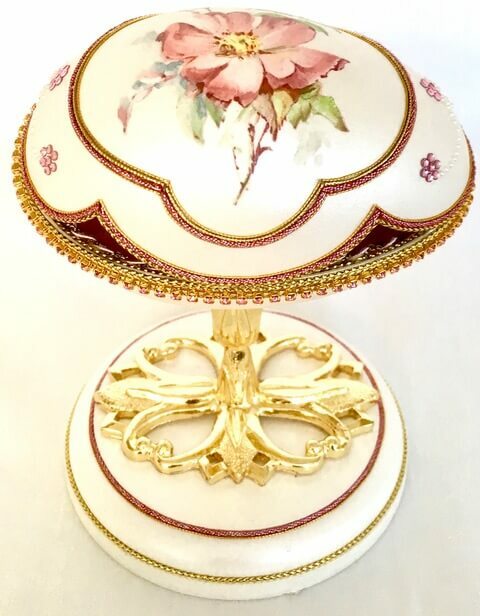 This up-right goose egg has an air drilled design on the back and a side panel of paper toiled flowers using the Applicraft decoupage finish to glue, strengthen and seal the paper. 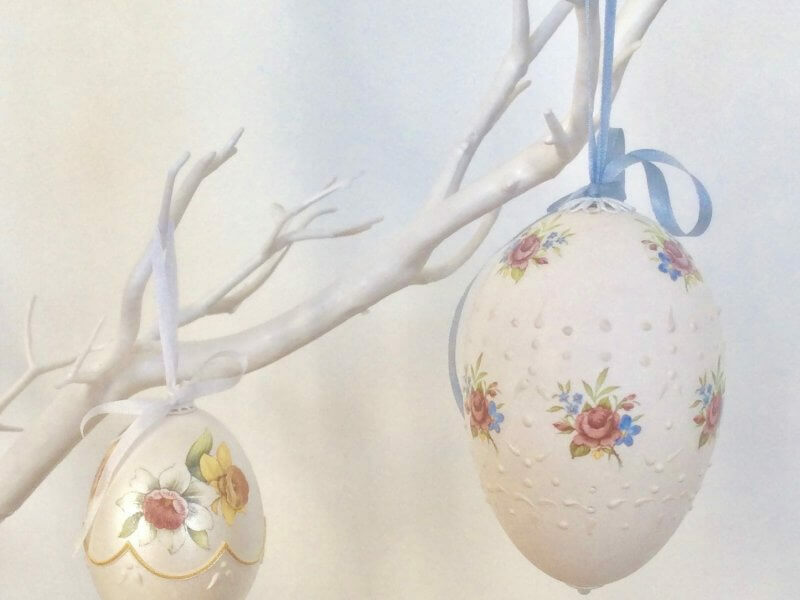 A selection of duck, guinea fowl and small goose eggs make a perfect Easter centrepiece hung on a tree! 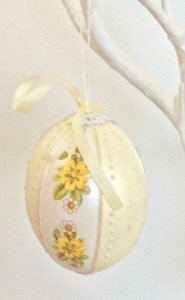 The pictures in this blog post are of eggs that Morag has created during her courses here at Denman. To find out when Morag’s next course is at Denman, please click here.